Adequate sales is the key that determines the success of the business organizations, as selling of products helps in increasing the customer base as well as strengthening the position in the competitive market. The business organizations need to manufacture product by considering the needs and demands of the customers in order to increase sales. Similarly, it is important for the business organization to provide a warm welcome to the customers that visit the store so that they come back to the stores again and again thereby, suggesting sales increment. It is important for the business intelligence organization to make the customers feel warmth and empathy so that they feel connected and valued for the firm (Cheung, Xiao & Liu, 2014). This research is based on a well-known Australian tyre retailer that has 25 percent market share in the Australian market. The newly joined CEO of the company found that in spite of being selling well-known and trusted brands of tyres, the company has been losing its valuable customers. As a result, the company is losing the market share drastically in the Australian market. Loss of market share and customers is threatening the position of the company in the Australian market along with questioning their survival in the competitive market. When the new CEO visited and walked through 20 key retail stores those are located in cities and regional areas, she identified the problem in the physical appearance and the layout of the store. The key observations made by the new CEO highlighted the probable reasons for the decrease of market share of the company in the Australian market followed by loss of customers. The physical layout of the store plays a significant role in keeping the customers busy and engaged. For this Australian tyre retailer, the main problem identified is the presence of high counters due to which the store managers are hid behind them thereby, making communication difficult for everyone expect the ones with tall height. As majority of the cash customers of the company were women, communicating is often an issue for them. In addition to, the store required the customers to stand and lacked appropriate sitting arrangements and the stacks were filled with truck and car magazines. 1. How would Australian tyre retailer improve customer experience when they visit the retail stores physically? 2. How should the Australian tyre retailer increase the market share in the Australian market? 1. Which factors drive the customers in the Australian market to visit a store physically for purchasing products? The buying decision of the customers is one of the significant aspect that determines the success of the business organizations. 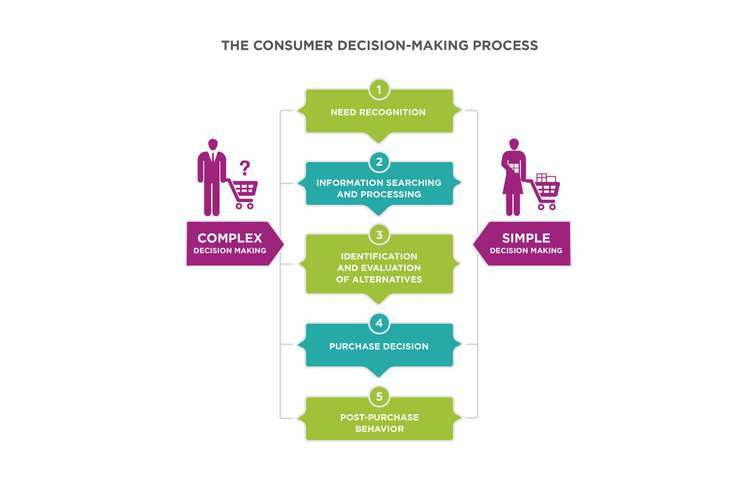 As commented by Karimi, Papamichail and Holland (2015), the process of decision-making conducted by the individuals before making any transactions or buying a particular product is termed as consumer purchase decision process. In other words, consumer purchase decision is defined as the cost-benefit analysis done by the customers in presence of multiple alternatives. The decision-making process of the customers is a psychological phenomenon, as the customers want their needs to be fulfilled through the product or service as well as when they visit the store (Chen et al., 2015). For instance, a grumpy and unfriendly staff does not bring back a customer to the same store in the future. In this case, the Australian tyre retailer has been unsuccessful in fulfilling the needs of the female customers when they visit the retail outlets that resulted in sales minimization. The different factors affecting the consumer purchase decision of the customers are economic factor, functional factor, personal factors, cultural factor and social factor. As mentioned by Alfred (2013), the economic factor highlights the financial capability of the customers for purchasing a profit whereas the factional factor highlights the requirement of the product for the customers. Similarly, social, cultural and personal factors highlights the first impression the customers gets upon visiting the store in terms of empathy, comfort and communication (Grimmer & Bingham, 2013). In this case, the Australian tyre retailer has been unsuccessful in fulfilling the psychological factor of the customers when they first visit the store that has hampered the market share of the company. Five stages influence the purchase decision of the consumers are identifying the problem, conducting adequate research, analysing the alternatives, buying decision and the post buying decision (Teng & Wang, 2015). In the majority of the scenarios, the customers hit the stores for purchasing a product when they need it or have problem with the existing ones. In order to do so, the customers carry out suitable research that help to find the most suited option for purchasing the product for mitigating the problem (Liu, Li & Hu, 2013). This is followed by looking for all the existing alternatives in the market thereby, finally purchasing it. In the case of the Australian tyre retail, the customers are drawn and forced to visit the store in order to mitigate tyre related issues. As the company sells well-known brands such as Good Year and Dunlop, it affects the purchase decision of the customers of selecting this retailer for buying tyres. However, failure to fulfil additional requirements of the female customers when they visit the store has hampered the buying decision. From the above-mentioned information, it can be summarized that it is important for the business organizations to influence the buying decision of the customers by valuing their needs and demands. As seen from the given case study, the physical layout of the stores of the Australian tyre retailer is hampering the buying decision of the customers. This is because as majority of the cash-paying customers are female, interaction with the branch head, lack of sitting arrangement and unable to connect to the store is hampering their buying decision. Thus, the information gathered from the literature review section highlights that the Australian tyre retailers needs to mitigate the issues for increasing their sales followed by maximizing their market share. For this research, descriptive research design will be used because this enabled the researcher to explore the issues within the research as well as find the potential reasons for this the existing issues. The use of descriptive reasons will enable the researcher to determine the current issues that resulted in the decreased rate of customer visit in the store in accordance with the physical layout of the store. In addition to, the use of descriptive design will also allow the researcher to dig deep into the relation between the customer expectation and sales. Moreover, determining the different factors of consumer buying behaviour is also possible due to the implementation of descriptive design (Mackey & Gass, 2015). Lack of adequate secondary data for drawing appropriate conclusion has led to the use of primary data collection for this research. The use of primary data collection will help the researcher to collect recent and updated data from the customers thereby, developing a deeper understanding about the issues they face during their visit to the store (Lewis, 2015). However, the primary data will be collected once with the aim of meeting the general requirement for using descriptive design. The researcher will select an online survey questionnaire, as it will easy to reach out all the customers in the Australian market that purchase from the company. In order to ensure higher rate of return, the survey questionnaire will be limited to 15 minutes only (Vaioleti, 2016). Taking into account the huge customer base in the Australian market, particular population of the customers will be selected. The researcher will be using random probability sampling technique for selecting the survey participants (Flick, 2015). As known from the above section of the research, the majority of the cash paying customers were female; the target population selected for survey will be 100 female customers of the Australian tyre retailer. The female population has been targeted strictly, as they are the ones that face the main problem during their visit to the store (Smith, 2015). Taking into account the data collection process selected for the research, quantitative data analysis technique will be applied. The use of quantitative data analysis technique will provide an opportunity to categorize the factors affecting the consumer purchase decision in accordance with the issues faced by the female customers while they visit the store of the Australian tyre retail. The analysis will be emphasized on the demographic factors followed by questions developed on the research problem and objectives that aim towards identifying the problems faced by the female customers when they visit the store physically. The quantitative data analysis results will be presented through SPSS (Bauer, 2014). The final results of this research will be presented in the form of a report to the new CEO of the company of the Australian tyre retailer. Upon completion of the overall report, the key findings of the data analysis will be presented in graphs and charts followed by presenting an executive summary with suitable recommendations for mitigating the identified issues. The researcher encountered some issues that resulted in potential research limitations. One of the major limitation was conducting an online survey, as it highlighted higher risk of errors in terms of the respondents. This is because the respondents lacked the opportunity of clarifying the questions if it was unclear to them as well as the respondents might provide incorrect answer intentionally. Also, only close-ended questions restricted the respondents to share their opinions and perspectives completely, as they had to respond within the options provided to them (Ledford and Gast, 2018). While conducting the research, it is important for the researcher to follow the ethics of the research in order to complete it successfully. One of the most important ethics that needs to be followed strictly is maintaining and ensuring data confidentiality. The researcher is strictly prohibited to reveal the identity as well as data provided by them. Disclosing the identity and data provided by the participants without their consent is against the ethical considerations of conducting a research (Connelly, 2014). Another significant ethics of the research is participating in the data collection process willingly. One of the best ways of ensuring willing participation is by signing the consent forms by the participants before involving them in the data collection process. Manipulation of data for completion of the research work is also against the ethics of conducting a research. The researcher needs to present the data in its original form followed by supporting it by relevant findings and arguments. In addition to, collection of data from authentic resources is also a significant ethical consideration that needs to be followed while commencing with the research work (Ritchie et al., 2013). 1. Alfred, O. (2013). influences of price and quality on consumer purchase of mobile phone in The Kumasi Metropolis in Ghana a comparative study. European Journal of Business and Management, 5(1), 179-198. 2. Bauer, G. R. (2014). Incorporating intersectionality theory into population health research methodology: Challenges and the potential to advance health equity. Social science & medicine, 110, 10-17. 3. Chen, C. H., Nguyen, B., Klaus, P. P., & Wu, M. S. (2015). Exploring electronic word-of-mouth (eWOM) in the consumer purchase decision-making process: the case of online holidays–evidence from United Kingdom (UK) consumers. Journal of Travel & Tourism Marketing, 32(8), 953-970. 4. Cheung, C. M., Xiao, B. S., & Liu, I. L. (2014). Do actions speak louder than voices? The signaling role of social information cues in influencing consumer purchase decisions. Decision Support Systems, 65, 50-58. 5. Connelly, L. M. (2014). Ethical considerations in research studies. Medsurg Nursing, 23(1), 54. 6. Flick, U. (2015). Introducing research methodology: A beginner's guide to doing a research project. Sage. 7. Grimmer, M., & Bingham, T. (2013). Company environmental performance and consumer purchase intentions. Journal of business research, 66(10), 1945-1953. 8. Karimi, S., Papamichail, K. N., & Holland, C. P. (2015). The effect of prior knowledge and decision-making style on the online purchase decision-making process: A typology of consumer shopping behaviour. Decision Support Systems, 77, 137-147. 9. Ledford, J. R., & Gast, D. L. (2018). Single case research methodology: Applications in special education and behavioral sciences. Routledge. 11. Liu, Y., Li, H., & Hu, F. (2013). Website attributes in urging online impulse purchase: An empirical investigation on consumer perceptions. Decision Support Systems, 55(3), 829-837. 12. Mackey, A., & Gass, S. M. (2015). Second language research: Methodology and design. Routledge. 13. Ritchie, J., Lewis, J., Nicholls, C. M., & Ormston, R. (Eds.). (2013). Qualitative research practice: A guide for social science students and researchers. sage. 14. Smith, J. A. (Ed.). (2015). Qualitative psychology: A practical guide to research methods. Sage. 15. Teng, C. C., & Wang, Y. M. (2015). Decisional factors driving organic food consumption: Generation of consumer purchase intentions. British Food Journal, 117(3), 1066-1081. 16. Vaioleti, T. M. (2016). Talanoa research methodology: A developing position on Pacific research. Waikato Journal of Education, 12(1).